Words have meanings. But are they the meaning that you thought they meant. 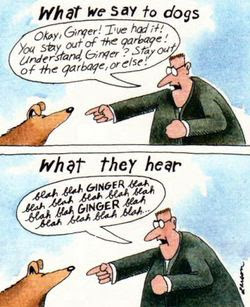 There are countless times in mediation, where, just like in the Larsen cartoons, one party will hear the words said by the other side, and understand it to mean something very different. Here are just a few examples. “May have…” When people use the phrase “I may have” or “I may be able to get the client to pay” or any variation, the other side hears: “I have” or “I can get the client to pay.” “May” is usually taken out of the interpretation. “Settle it for 50 to 75.” This is an easy one. depending on what number is more favorable to the recipient is the one they hear. If they want a lower number, they hear the lower number. “I think this case is worth…”: whatever number you state “may” now become the number you just offered. “I think the case is worth $50,000.” Oh, you just made an offer to settle for $50,000. “My Bottom Line is…”: Come one, is it really your bottom line? Other people hear, “The number I would like to achieve is _______, but I would probably go [lower/higher]. “I probably [did/said/acted/landed….etc]. When talking about a past event, and answering a question no one ever probably did anything. When using this phrase, that person is not recalling that they did anything. they are thinking about what they did, not recalling it. Many people misinterpret that phrase to mean that the person actually did that. Frankly, it probably means that person is lying. “I probably went downstairs last night” Really, you don’t know if you went downstairs or not? “That’s a good question….”: We all know it is a good question. When a person is saying that is a good question, they aren’t complementing you on your examination skills, they are buying time to come up with an answer. Can you think of other commonly misinterpreted phrases?